Wow! 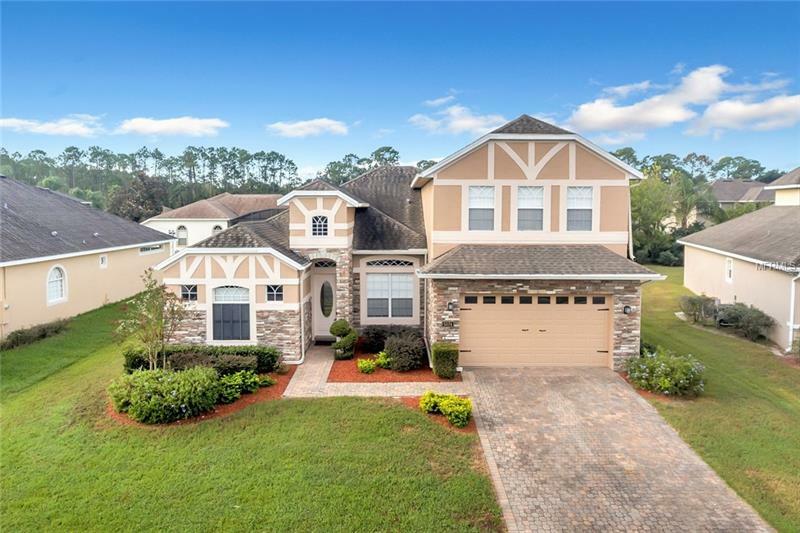 This lovely Tudor style home in the desirable gated community of The Preserve at Astor Farms might be THE ONE! With 5 true bedrooms, 4 bathrooms and a bonus room this home offers plenty of space & storage. You will love the high ceilings, crown molding, elegant tile & wood flooring and architectural features throughout! The open kitchen with real wood cabinetry, SS appliances, a gorgeous backsplash and Corian counters overlooks the spacious family room. From the kitchen area you have access to the large screened in porch which adds yet another area to entertain. The backyard can easily be fenced in and offers plenty of space for the pool of your dreams! The large Master offers his/her closets and a luxurious master bath with 2 marble sink vanities, a garden tub and glass enclosed shower. In the back of the home you'll find another bedroom and bathroom. The upstairs offers a bonus room, full bathroom and bedroom, making it a great private area of your home. The Preserve at Astor Farms is surrounded by a large nature preserve. But don't be fooled by this country like setting: while you live peacefully in this gorgeous neighborhood you are also only minutes away from everything: I-4, 417 and soon 429, great shopping/dining at the Seminole Towne Center and surrounding plazas, Colonial Town Park with great entertainment & restaurants/bars and the Lake Mary business corridor of International Parkway. The Zoo, Marina and Riverwalk as well as up and coming Historic Sanford are also just a short drive away!